Recol Engineering Ltd, a Northampton-based subcontract supplier of complete metal-based manufacturing solutions, has installed an Amada HG-1003ATC (Automatic Tool Changer) automated press brake to facilitate its current period of sustained growth. Indeed, the company’s continuous programme of ongoing investment in the latest manufacturing technologies has never been healthier, as evidenced by Recol’s commitment to automated manufacturing solutions. As part of a total spend close to £2m, investment in the press brake was complemented by an order for an automated ACIES2515TAJ 4 kW fibre laser. To support the laser, Recol has also ordered an Amada AS-ULS-NTK double-tower system with 30-tonne capacity. The system provides 10 raw material shelves and five finished component shelves. Some 72 hours of unmanned operations give true lights-out weekend production. 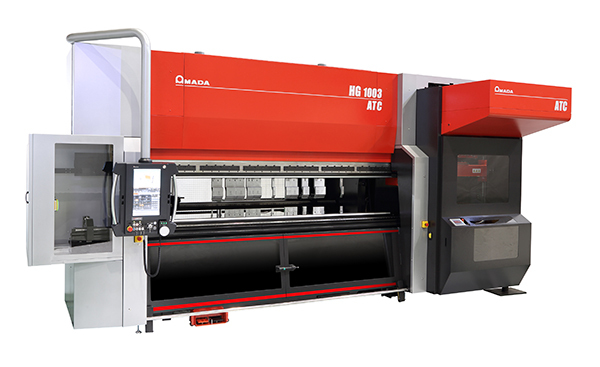 While the automated fibre laser will be delivered early this year, the Amada HG-1003ATC automated press brake was installed in November 2018.